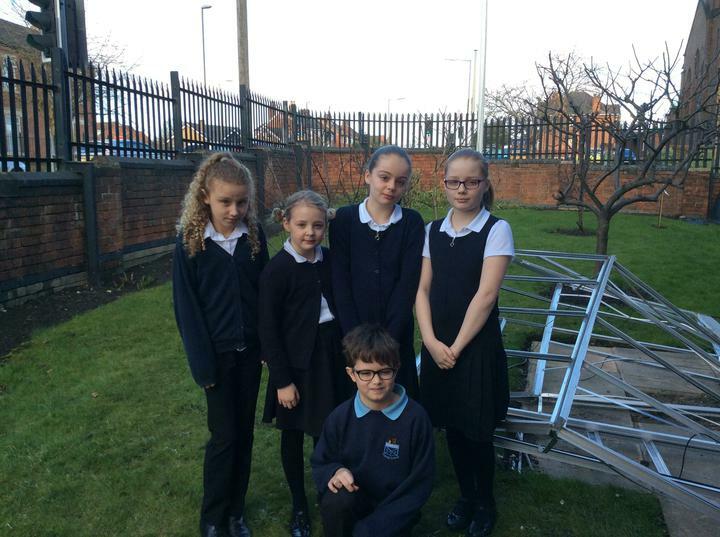 Our Eco-Council are reeling with shock following Storm Doris' assault on their Greenhouse. 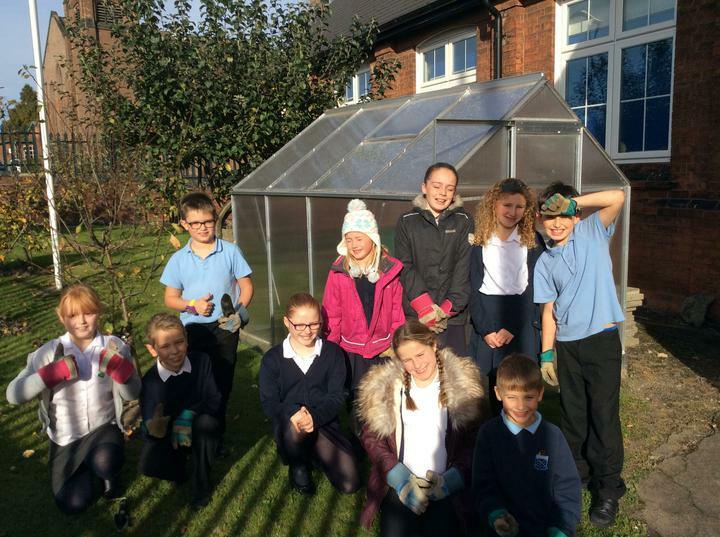 The greenhouse was awarded to the school following a winning competition entry for 'Moto in the Community'. Last summer our Eco volunteers, Mr Malcolm Martin and Mr Ian Bond gave up their time to erect the greenhouse. They were ably assisted by Mr Benyon (Eco Co-ordinator) who also gave up his summer holidays to help. Many vegetables were grown last year and pupils were delighted to see the fruits of their labour. However around 11am, yesterday morning, as Storm Doris struck, staff saw panels from the greenhouse flying past the school windows. Further loose panels were removed for safety reasons but by lunchtime Doris had completely bent and wrecked the greenhouse frame. We are currently seeking donations to help the Eco-committee restore the greenhouse to its former glory. If you can help please speak to Mr Benyon.